L. Ron Hubbard dedicated Battlefield Earth to Robert A. Heinlein, A. E. van Vogt, John W. Campbell, Jr. and “all the merry crew” of what became known as America’s Golden Age of Science Fiction. The full list is over 80 names long! And as Hubbard stated, “They are all worth rereading, every one.” He further noted that “they were beating the drum to get man to the stars.” While it is true that their work was not all sunshine and rainbows, it did shine a light on the darkness and deprivation that man could sometimes be led into. But it also heralded the possibilities of a very bright future. 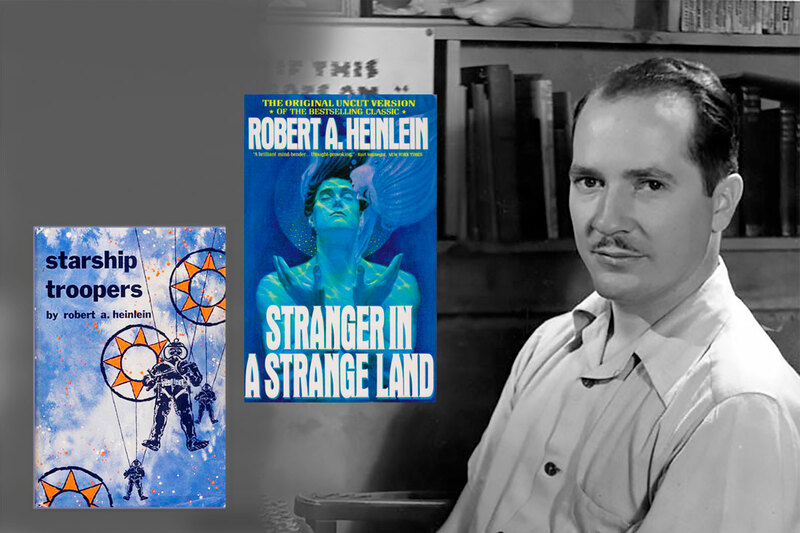 As I began to revisit the works of Robert A. Heinlein, I came to see that he was indeed a co-conspirator for a better world. Moving to Colorado Springs in 1958, he essentially built a bunker for what he deemed an inevitable nuclear fallout. It was during this time that he authored the book, Starship Troopers, published in 1959. The beauty of his story is he wasn’t calling to attack Russia. He was putting man’s attention outward—the alien spider bugs. What’s out there? Is there a race of beings capable of exterminating man? Should we develop more weapons? What are the dangers of one world government? These are exciting themes for a teacher to engage their students with. High school students are looking for purpose. What is the point of learning history if it already happened? Heinlein puts a future there for students to inherit. It’s scary but it is also fascinating, giving relevance to documents like the constitution, the bill of rights, the drafting of laws, etc. In 1966 Heinlein wrote, The Moon Is a Harsh Mistress. A curious mind may have wondered after reading Heinlein whether this was prophecy or science fiction? It was only a few short years later that Apollo 11 departed for the moon. In a video of the launch, Arthur C. Clarke, Robert A. Heinlein and Walter Cronkite discussed the significance of the event, whereupon it was declared by Heinlein to be the most important day ever as mankind was going to finally grow up. 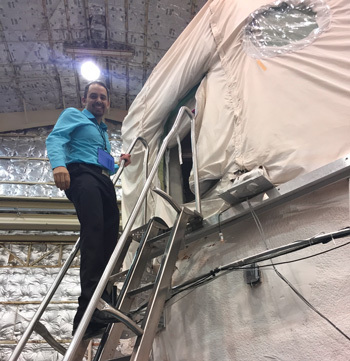 After touring SpaceX, being a Mars MAVEN Education Ambassador, Teacher Liaison with the Space Foundation and now on my way for Space Capsule survival training at the Neutral Buoyancy Laboratory, I am able to see how important science fiction is to mankind’s fate. Science fiction and the authors from that golden age were in a conspiracy to help man survive to give him a better world. Earth was headed and still teeters on oblivion. If it were not for that “merry crew,” putting man’s attention on the stars, today may have become a very different scenario. While this is no doubt open to considerable debate, the simple fact is that science fiction is the herald of possibility for all of our tomorrows.